Obedience training is necessary for developing a strong relationship with your dog. It is an excellent way to build a foundation of skills, allowing them an opportunity to learn important things and exercise their mind. This can help you as well as your dog in the long run. Dog owners often wonder what to do after enrolling their pet in training program. We are here to help you understand the process better. It is a common practice to have only the owners in the first session to help you understand what to expect during the entire program. Before the first class, take your dog to the veterinarian to make sure they are healthy enough to attend the program and properly vaccinated. You may be asked to submit a copy of their records regarding his health and vaccines. A dog collar with the required information to identify your pet. A treat bag with your dog’s favourite treats for motivation. What Does My Dog Learn During Training? The choice of a training program depends on the age of your pet. If your puppy’s age is between 8 weeks to 16 weeks, enroll them in these classes where the trainers focus on introducing basic obedience skills and socialization. When your pup gets older, a beginner training program will benefit them. 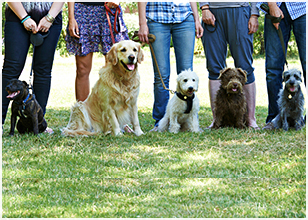 In addition to good behaviour, the trainers will focus on teaching them to interact with other dogs and people. These classes will also help you to hone your training skills and know-how. Staying in the same position until the next command is given. Coming over to you when you call. Leaving any unwanted thing when you ask. Walking well when on the leash. In addition to obedience training, your dog will also learn good manners such as walking properly without pulling on his leash, waiting near doorways or exits patiently, refusing temptations, and more. Which Class Is Best for My Dog? Whether you should enroll your puppy in a group class or you should opt for private lessons depends on their behaviour. You must pay attention to your dog’s body language to understand them. For instance, if your pup is timid, you should give them the required time and space to get used to the other dogs in the class. Basic obedience is crucial to develop mutual love and respect between you and your dog. Alpha Paws has experienced trainers to help guide you and your pet to develop the required skills. 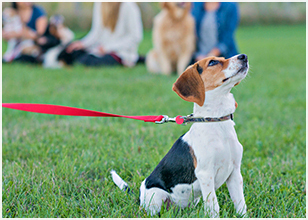 If you have any questions about our dog training program in Newmarket, you can reach out to us by calling 1-877-868-5248 (PAWS).